The tools enterprises need for connecting cloud and on-premises applications, building microservices and exposing and managing APIs. 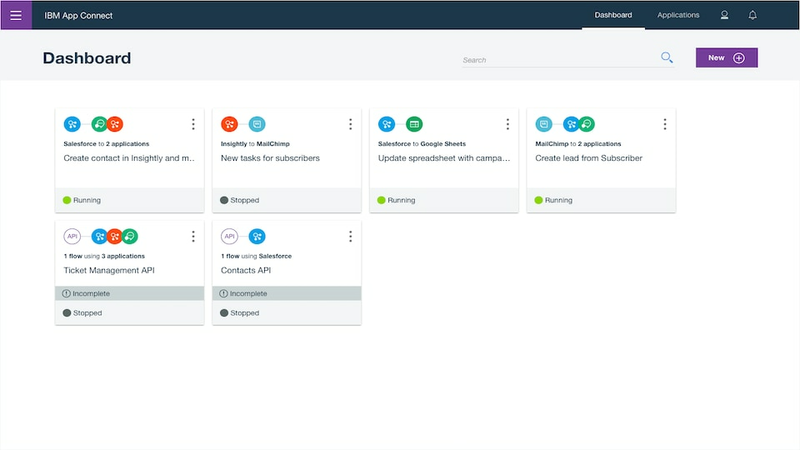 IBM App Connect integrates business data, from simple SaaS applications to complex systems. Connect across clouds and on-premises with flexible deployment options including containerized, to enable you for a multicloud world. IBM MQ, formerly WebSphere MQ, is secure messaging software that rapidly transports message data between applications, systems and services.